Susan Shain is a freelance writer specializing in travel, food, and personal finance. 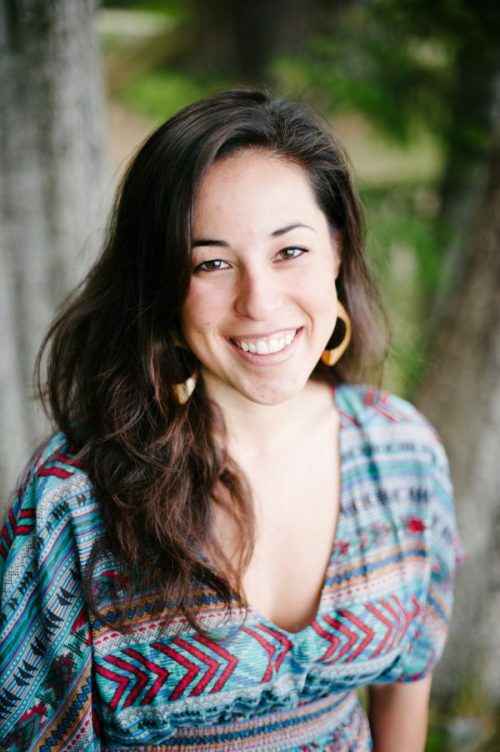 Her writing appears across the Web at places like NPR, Travel & Leisure, CNN, and USA Today. She shares her method for handling emails from people seeking advice and also discusses what separates a good pitch from a bad pitch. Describe your daily email routine. Oh man, I wish I could say I have a magical routine — but that would be a lie. If there really are humans out there who can resist the temptation of checking their email throughout the day, I would like for some smart, sciencey person to replicate their DNA into a vitamin I can eat. Because I am so not that person. To keep myself somewhat controlled, I don’t receive email updates on my phone. Which means that if I’m not in front of my computer — and am out enjoying myself, or am relaxing after dinner — I’m not constantly getting distracting buzzes. While working, I use Marinara to follow the Pomodoro method — and during my 25-minute sprints, I write in another window so I can’t see emails come in. Important and unread: This is at the top, so if I just have a few minutes to scan emails, it’s what I focus on. Starred: As I’m reading, I star emails that need a response in the next day or two. Those live here. Important: These need responses soon, but not immediately. The starred ones take priority. Everything else: Where newsletters and unsolicited emails go. I read through these when I have bigger chunks of time; if the section gets unwieldy, I click the little arrow to the left and pretend it’s not there. I receive a lot of emails from people with huge vague questions — like how to start a writing career or how to travel the world — and I used to spend hours crafting detailed responses, only to never receive a reply back. So now, to separate the people who are genuinely curious from the people who just send random “what is the meaning of life?” emails after too much box wine, I respond with one short question. If they reply to that, which is surprisingly rare, then I’ll engage in a deeper conversation. On that front, I also enjoy a liberal use of vacation responders (even when I’m not on vacation). I’ll pop in links to relevant blog posts, and tell people to follow up in a month if they have further questions. Most of the time, they don’t. Do you have any preferred email tools? If so, what are they? Within Gmail, I use a lot of its features — labels, canned replies, undo send, send and archive, auto advance — like the Google fangirl I am (along with my Pixel, which is the best). Now that Rapportive is gone, I use the free version of LinkedIn Sales Navigator, which pulls up the profiles of people you’re emailing. It’s great for sleuthing email addresses, and also allows you to connect with people from within Gmail (since I’m terrible about checking LinkedIn). I don’t, however, use a tracking program to see when editors have read my emails. I once used Streak for like three hours, and saw that it could quickly become a dangerous, addictive spiral — so I deleted it entirely. I just started using Assistant.to to schedule interviews and calls. Working well so far! For my newsletters and random subscriptions, I use Unroll.me, which I’m sure you all know well. This means way less overwhelm when I’m traveling off-grid and don’t check email for days at a time. And, though it might not seem relevant, Pocket actually helps with email. As a writer, I subscribe to a lot of newsletters — but rather than reading the articles from my inbox, and, 90 minutes later, ending up on a story about Justin Bieber’s latest tattoo, I control-click to add the stories to my Pocket. Then I read them on a lazy Sunday morning or, more likely, on a plane. You get lots of pitches from people wanting their products or services covered. What distinguishes a good pitch from a bad pitch? Writers receive tons of emails from PR agencies and small companies that want coverage of their product, event, human, whatever. And though they can be helpful in inspiring story ideas, the majority are irrelevant or rambly. Make it relevant and concise: Ensure the writer has demonstrated an interest in whatever you’re trying to sell, and don’t send lengthy press releases or 800-word emails. Share a few lines about why your thing is important; I’ll follow up if I want more. Pitch an angle, not a product: Rather than telling me that Larry has invented a new way to spiralize vegetables, tell me why it matters. Was Larry inspired by his time in a country that’s trending in the news? Are elementary schools starting to use the Larrylizer to fight childhood obesity? An editor is going to want an interesting angle from me — so give me some ideas, and I’ll be much more likely to run with it. Share a timely hook: Again, editors want to know “why now?” when it comes to publishing a story — so that’s what I want to know, too. What’s the newsy hook? One recent story sparked by a PR pitch was this one about Leanne Brown and the Y’s Summer Food Program. I’m passionate about food — especially as it relates to public health — and have even interviewed Leanne Brown before. So the topic was highly relevant to me. The pitch itself was concise: just two paragraphs, with a longer press release below. It told me why I should care (the program would help 300,000 kids), and why now (the program would start in a few months). It landed at NPR, and everyone was happy.